Quebec's bid for energy independence threatens island refuge with plans to test novel fracking technologies. Locals are calling the plans to frack: "the theft of the century." The government of the province of Québec has approved the exploration of shale gas and oil exploration activities on the province’s largest island, l’île Anticosti. The island is a refuge for a diversity of offshore aquatic life as well endemic and endangered terrestrial flora and fauna (e.g. the Atlantic Salmon). Bison, caribou, Red Fox, River Otter, elk, mink, moose and other terrestrial mammals as well as grey seals and various species of whale live on or around Anticosti. The reefs off the island are among the most ecologically sensitive in the St. Lawrence seaway. Currently, the project is in the exploratory phase. The government of Québec, the company Petrolia and their partners have together invested more than $115 million Canadian dollars in exploring the potential for petroleum extraction beneath the soils of the island. Meanwhile, the various political parties in the province have been engaging themselves to determine the total expected oil revenue and number of new jobs that exploration will add to the Québec economy. This speculation proceeds despite the fact that no exact study has indicated a precise location for the supposed oil reserves, with only preliminary studies indicating the presence of petrol on the island. Far less attention has been devoted to determining the consequences of hydraulic fracturing and groundwater contamination. 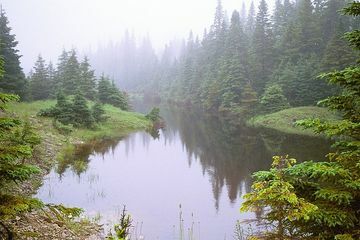 Additionally, clear-cutting of 150km of open forest on the border of the Grand-Lac-Salé Ecological Reserve will be carried out in the exploring for petroleum reserves; The government will declare by Spring, 2015 whether they will fully authorise petroleum exploration on the island. The island is home to around 250 people, mostly concentrated in the coastal village of Port-Menier. 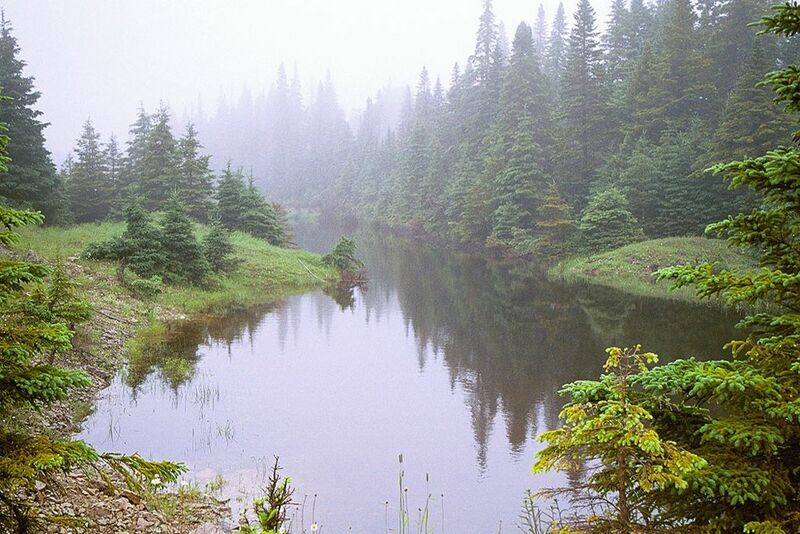 In 2007, the oil exploration enterprise Junex Inc. acquired exploration rights to approximately 100,000 ha on Anticosti, which itself is approximately 8,000km2. As much as 12,000 drilling shafts are needed on the island, as well as infrastructure for the removal of waste material, lorry transport, construction of pipelines, and a new port for exporting the resource. The people of Québec have been calling the petroleum explorations on the island as the “le vol du siècle” or “the theft of the century”. Residents of the island are particularly concerned by the lack of any independent environmental assessment before petroleum exploration activities have commenced. In addition to affecting sensitive ecological systems, residents are concerned about the impacts of petroleum operations on groundwater contamination, how this may affect human health and way of life. There is also concern that oil spills around the island would be disastrous both for the Saint Lawrence ecosystem, but also for a large part of the Atlantic provinces. They feel their voices are not being heard and specifically that they feel they are not being consulted by government intentions regarding extractive activities. As far as legal measures are concerned, Bill 37 was proposed in the Québec National Assembly on May 15th, 2013 to impose a 5 year moratorium on shale gas exploration and development projects throughout the territory of 52 municipalities in the St. Lawrence lowlands (including Anticosti) in order to protect the health and safety of all residents of the province and to preserve the quality of the environment. The bill followed a previous moratorium established by the Québec Liberal Party on the 16th of March, 2011 which prohibited hydraulic fracturing activities other than for scientific research purposes. However, Bill 37 was tabled, and exploration activities were heralded by the PQ government in mid-February, 2014. The PQ pledged $115 million to finance drilling exploration in two separate joint ventures for rights to 50% of the licenses and 60% of commercial profit. Why? Explain briefly. The provincial governement has yet to make a decision as to whether to authorise extraction activity; there was a changeover of government from the Parti Québecois (PQ) (who had supported exploration) to the Québec Liberal Party which has maintained the position to allow prospecting for oil and gas on the island.